Can You Stop Diabetes Meds? When it comes to diabetes there are many success stories, especially among those who know that diet and exercise play a big part in blood sugar control. Medication is also key to getting your numbers into a healthy range. But if you’re like many people who take something daily for diabetes, you probably wonder if you can ever stop. Maybe -- if your blood sugar numbers are good and you’re committed to a healthy lifestyle. The first step is to talk to your doctor. Here’s what you can expect from that chat. First, know that it's OK to ask your doctor if you can stop taking meds once you’ve met the blood sugar goals you've both set, says Robert Gabbay, MD, PhD, chief medical officer of the Joslin Diabetes Center in Boston. And it can be done, he adds. The first step: Tell your doctor why you want to stop. Then he’ll ask you some questions. Is it too hard for you to keep up with taking your medicine? Do the side effects lower you quality of life? Is the medication too expensive? If you take the drug metformin, a common treatment for type 2 diabetes, your doctor could lower it in stages as you lose weight and get fitter, Faiman says. You may even be able to stop it -- at least for a while -- if you’re making good lifestyle choices and you keep your blood sugar under control for several months at a lower dose, Faiman says. 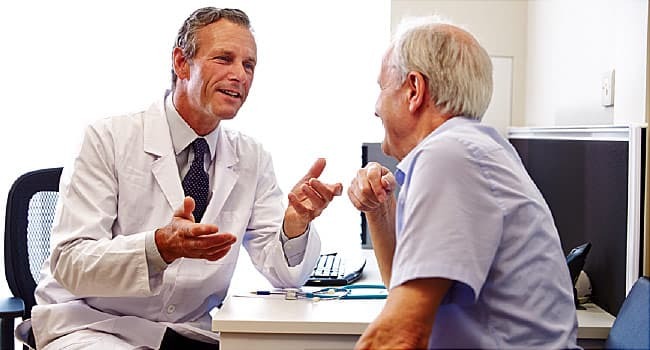 Your doctor will keep a close watch on you if he decides to give you a trial run with either no meds or lower doses. That means you’re still going to have to do your own readings. And you’ll need an A1c test when your doctor suggests it to make sure you’re still at your target level, Faiman says. You’re more likely to be able to stop if you’re only on one drug, like metformin, and not several. But if you’re serious about diet and exercise long term, you may be able to lower doses or maybe go off one of your meds. Despite your best efforts with healthy eating and exercise, you may have to go back on medication at some point. Diabetes is a progressive disease, Gabbay says. You may be able to stop taking meds early on, but that’s not likely to be a long-term answer, even for the healthiest person. One study had people with diabetes make huge lifestyle changes. They got 175 minutes of weekly exercise, and ate 1,200 to 1,800 calories a day. Most had at least a partial remission, meaning they were able to keep their blood sugar under official diabetes levels without medication or weight loss surgery. The ones who did best were those who lost a major amount of weight and became very fit. They were also either newly diagnosed with diabetes or had less-severe disease. And they weren’t taking insulin. While some were able to stop taking their meds, the change lasted just a few years. After that, only about half the original number were in remission. It isn’t their fault; it’s biology, Gabbay says. Doctors don’t ever want people to feel discouraged about going back on or adding medications to help. “Lifestyle changes are powerful, but so are medications,” he says. And together they can make a big difference in your life over the long term. Robert Gabbay, MD, PhD, chief medical officer, Joslin Diabetes Center, Boston, MD; associate professor of medicine, Harvard Medical School, Boston, MA. Gregg Faiman, MD, endocrinologist, University Hospitals Case Medical Center, Cleveland, OH; clinical instructor of medicine, Case Western Reserve University School of Medicine, Cleveland, OH. Maruthur, N. Annals of Internal Medicine, published online April 19, 2016. Gregg, E. The Journal of the American Medical Association, Dec. 19, 2012.